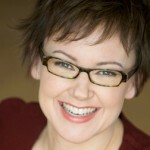 Kristina Halvorson is the CEO and Founder of Brain Traffic, a content strategy consultancy. She is the author of Content Strategy for the Web, a book that’s being called “the most important thing to happen to user experience design in years” (Peter Morville, Ambient Findability, Information Architecture for the World Wide Web). in Paris, France. Kristina has also been a featured speaker at Web 2.0 Expo, SXSW Interactive, An Event Apart, UX Week, User Interface Conference, Voices That Matter, IA Summit, Future of Web Apps, Future of Web Design, and the Online Marketing Summit. When she’s not running around talking about content strategy, Kristina can be found chasing after her two children in St. Paul, Minnesota.